Noting that in 2009 the Federated States of Micronesia proposed a fast‑action strategy using the Montreal Protocol to reduce climate emissions to avoid a 0.5°C temperature rise by the end of the century, he said that amount is more than half of the present level of temperature warming that has already produced super storms like Typhoon Mangkhut in the Philippines and Hurricane Florence in the United States. To achieve this goal, he urged countries that have yet to do so to ratify the Kigali Amendment to the Montreal Protocol. If the current trajectory continues, many more islands will be lost and people will be displaced, he said, but the world can avoid the climate impact with fast action. He noted the power of the Paris Agreement and said everyone must be on board. “I am disappointed that some countries are considering withdrawing from the Agreement and I call on them to reconsider,” he said. 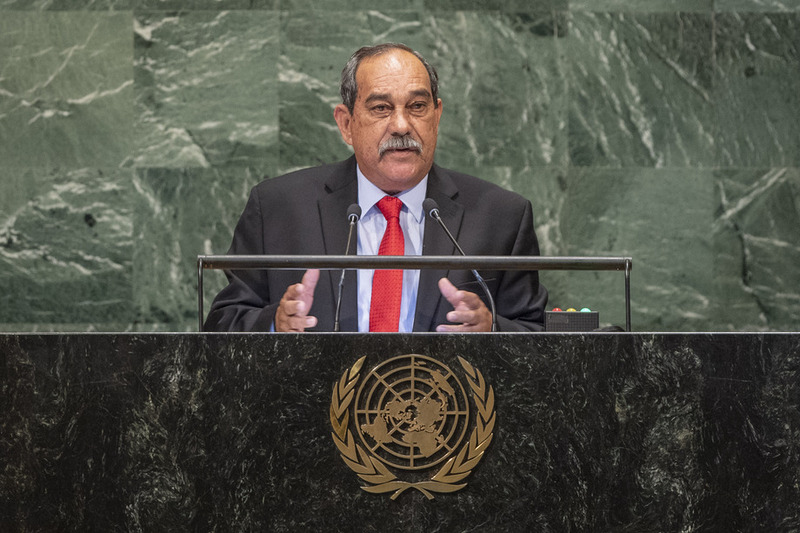 The Federated States of Micronesia has abundant marine resources and among its key concerns is a healthy, productive, resilient ocean which is the bedrock of the country’s livelihood, he said, reaffirming a commitment to the Pacific Islands Forum Leaders declaration to safeguard the ocean. While welcoming the recent decision by the International Law Commission to place the topic “Sea‑Level Rise in Relation to International Law” on its long‑term work programme, he strongly recommended it be placed on its active programme because of the direct implications of sea‑level rise for maritime baselines and boundaries.